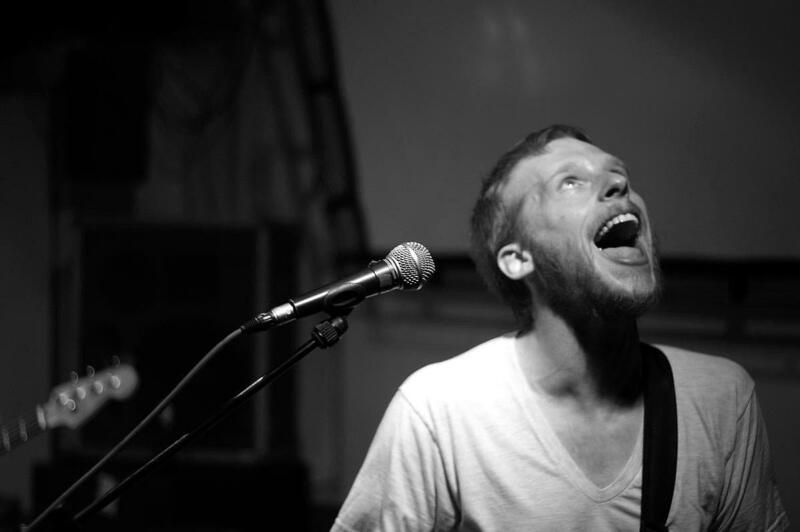 Kevin Devine turns 34 years old this December. A product of New York City’s boroughs, he went on to front the popular local band “Miracle of 86”, named after my beloved New York Mets’ miraculous 1986 World Series victory. He also put in time with the Staten Island band “Delusion” and has released a number of solo albums. At his age, and with such a respectable track record, it would be fair to wonder if his best days were behind him and he’s said all he could say. 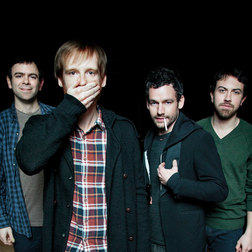 However, those thoughts go against what Kevin Devine’s music had represented. The Brooklyn boy has always looked to expand on what he can do: write a stronger message, hit a higher sound, and go bigger than he did on the previous albums. Six albums into his solo career, Kevin turned to Kickstarter to fund an ambitious double-album project featuring one solo album in collaboration with Rob Schnapf and one full-band album featuring his backing band, The Goddamn Band, which would be produced by beloved and cryptic Brand New frontman Jesse Lacey. Kevin’s fanbase met his ambition, hitting the goal in one day and helping raise over $114,000 in just over one month. Kevin appeared humbled and invigorated by his fans’ strong support, and the anticipation had been set at a high mark. 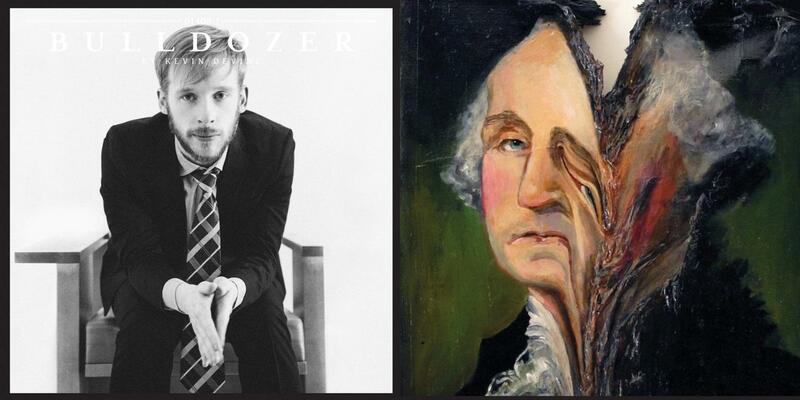 The wait for LP7 and LP8, entitled Bulldozer and Bubblegum, respectively, ended on October 15 with their official release, resulting in what amounts to a thorough encyclopedia of Kevin Devine. The albums deliver a balanced mix of the mellower songs and the more chaotic songs, yet the result feels both calculated and purposeful. Opening with the steady strumming of Bulldozer opener “Now, Navigate”, the tune builds from a poetic acoustic tune into a raucous rock number containing Kevin’s thought-provoking lyrics. Like his past work, the words read like lines from a biography mixed with political, social, and geographical observations. The tracks touch a number of subjects, from the horrors Sandy wreaked on Staten Island (From Here) to thoughts on convicted U.S. Soldier Bradley Manning (Private First Class) to frustration towards the current U.S. fiscal crisis (Fiscal Cliff). Whether dealing with first-hand accounts or third person observations, the songs are emboldened by the vivid imagery, personal narratives and strong passion that Kevin feels for the subject he’s speaking on. Kevin weaves seamlessly through each topic a strong sentiment of desperation, anger, and affection. While Bulldozer draws a strong influence from the likes of Elliott Smith and Neutral Milk Hotel (Matter of Time, For Eugene), Bubblegum sees a brasher side of Kevin with a decidedly Nirvana-esque sound (Nobel Prize, Somewhere Unoccupied) to it. Jesse Lacey, taking his first dive into the producer game, allows the cathartic nature of the songs to burst through in a grand fashion. What helps Bulldozer and Bubblegum out so spectacularly is that it feels like Kevin has embraced the full-band sound and it seems that the influence is felt in the final product. There is a level of consistency and rhythm found in his music over the past few years, which differs greatly from the chaos of earlier albums like Split the Country, Split the Street and Put Your Ghost to Rest. I should note those albums were still spectacular, as much or moreso than his recent work, but his past three albums (including the tremendous 2011 album Between the Concrete & Clouds) have felt more conceptual in nature and revolving around a steadier sound. With the Goddamn Band now becoming a full part of his live show, rather than just a group of backing musicians, the sound has crept into his recorded work, making it sound even better. I have often compared Kevin Devine and Frank Turner, perhaps because they are my two favorite solo artists. Even though they are entirely different (one being more indie-rock while the other being more folk-punk), the two have a large catalog with a wide variety of sounds stemming from a number of varying influences. Like Kevin, Frank Turner’s last two albums have felt more conceptual, both thematically and musically, stemming from working with the same backing band, The Sleeping Souls, and having their influence in the studio in addition to the live setting. Kevin Devine’s growth as a musician has been a wonderful journey to watch, but at 34 years old and with 8 solo albums to his name, along with two albums with the young collaboration with Manchester Orchestra titled “Bad Books”, it’s safe to say that Kevin Devine is just getting started. 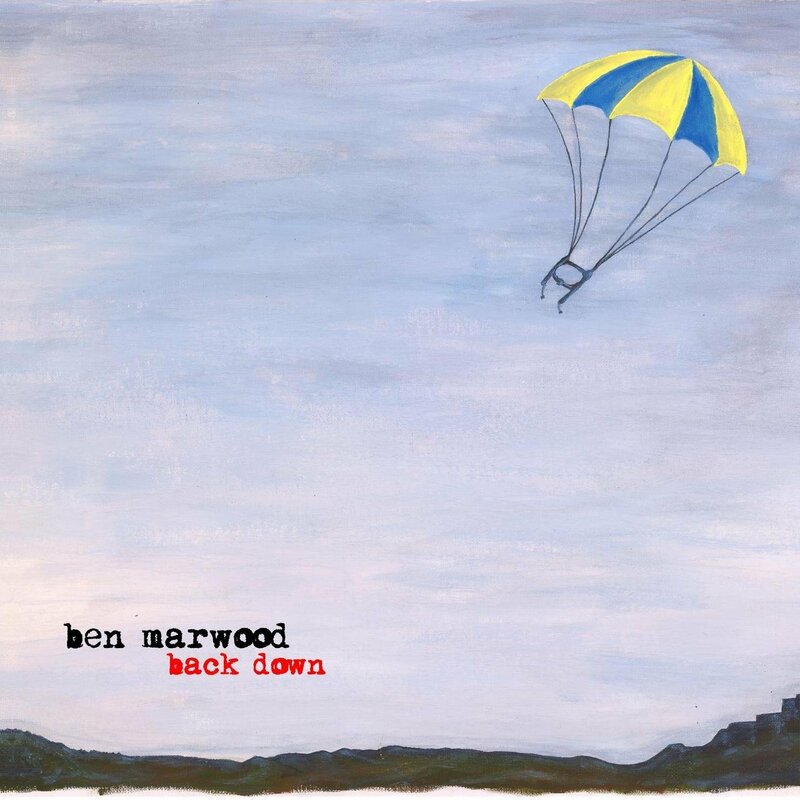 Fresh off his first US tour supporting Frank Turner, the lovely Ben Marwood agreed to sit down for an interview Lyrically Addicted. 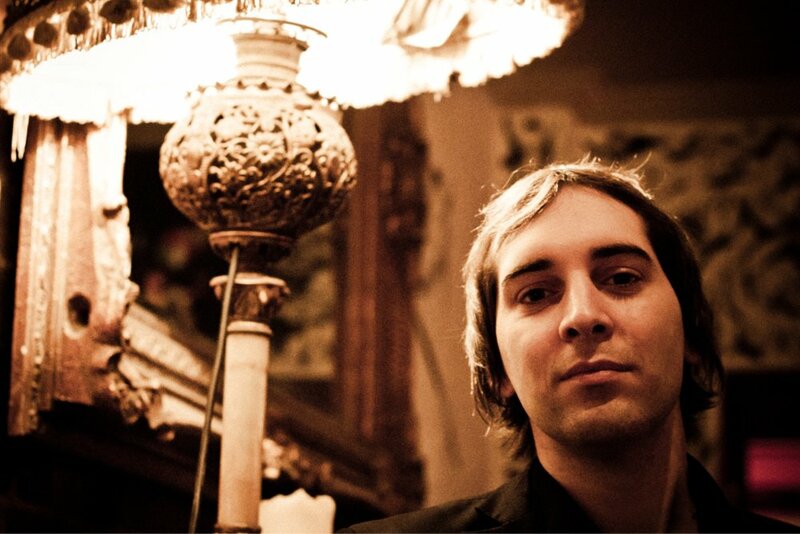 The British musician just released his second album in 2013, entitled Back Down. LA: The first time I heard your music was because I heard you were opening for Frank Turner on his most recent US tour. How did you meet Frank in the first place? Ben: Me and Frank met wayyyy way back in the mists of time. It feels like a lifetime ago. It was probably only April 2006. From what I remember he was on his first proper tour of the UK since his split from Million Dead and a friend booked me and him on the same bill. We were on a few more bills by chance and then I guess I must have brainwashed the poor guy. He’s really good at keeping in touch so eventually we did more shows together on purpose this time and since then I’ve been hiding in his suitcase every so often. It’s all good fun. He’s one of the most genuine and down-to-earth people you could hope to meet in this industry and he has a lot of incredibly keen fans. LA: How did the tour go? Were you surprised by the amount of Marwood fans at the shows? Are there any plans for an American invasion any time in the future? Ben: The tour was astonishing. I was really surprised by how keen everyone was to get down to the shows in time for doors and how far a lot of people traveled. I live on an island where some people complain about having to drive to the next town over to see a show (20, 30 miles), so to meet people who think nothing of driving four, five, six hours in one direction just to catch a gig was an eye-opener. The support was very touching, and as I genuinely had no expectations going into the tour as it was my first in the USA, to have it pan out the way it did was really special. It definitely helps to be out on the road with such a professional and friendly bunch of people. FT’s band and crew are great, Off With Their Heads [main support] were excellent night after night and we also had my hometown hero Ben Morse out there to do photography and video stuff for Frank. It quickly became like a home away from home and it sucked to be over so soon. It’s something I’d like to do again, so I wouldn’t rule out an American invasion in the future, but it won’t happen for a while. Touring your country is, sad to say, probably one of the most expensive things any musician could ever do, so it’s something that needs careful planning and deep pockets. Otherwise I’d be on a plane tomorrow. LA: Do you get homesick while you’re on tour? If so, is there anything you bring with you on the road to help you be less homesick? Ben: I’ve always been a bit of a homebody, and whilst mentally I don’t miss home when I’m away, my body does go kinda crazy very quickly. Away from the schedule of day-to-day life, I forget to eat, and I don’t sleep enough, and that takes its toll quite quickly. Before any show, I’m normally a bag of nerves, so after three or four days of not looking after myself I can get pretty ill and whilst as such there’s nothing I can really take with me from home that’ll make me feel better, I know by now that I just need to power through any panic attacks, safe in the knowledge that it’s always fine in the end. And remember to GO TO BED. LA: Traveling means a lot of down time (stuck in a car, a bus, a train, etc). What do you like to do to fill that time? Ben: Well, it depends on how you get from show to show. The last tour I did in the UK to launch the album in June, I did the travelling mostly by train. That might sound nuts to someone who lives in a place with no real public transport (Florida, I’m looking at you..) but it’s cheaper than taking a car. When that’s your method of getting around there’s not a lot of downtime, but what time there is I like to listen to music and stare at the scenery. I’d recommend anyone take the train from York to Dundee via Edinburgh. The scenery on the way through is spectacular. Any time that I don’t spend listening to music, though, is normally spent in a daydream. It wasn’t until I sat down the other day and actually really thought about what I do with my time, that I realized I spend at least 50% of any given day thinking about stuff which plain doesn’t exist. I’m a grown man, you know. LA: What kind of guitar do you play? Ben: I currently have two guitars on the go: my lovely Simon & Patrick GT cutaway and a Saigon DM100e which they essentially gave me to take to the States, the idea of which (getting stuff for free) is crazy and something I’m not used to. It’s a really tough decision choosing between the two as they both have their quirks. The Saigon’s really easy to play all styles on, and the S&P sounds impeccable turned up loud, so I couldn’t part with either of them. I also have a Gibson SG Voodoo for if I need an electric guitar, but sightings of this in public are very rare. Having two acoustic guitars is a new and weird sensation for me – before this summer I’d only owned one acoustic ever, an Art & Lutherie, but that was retired in June after more than a decade of loyal service and now sits in a corner of my house wondering what it did wrong. Chin up, little buddy. LA: Do you prefer to play acoustically (like you did on the US tour) or is that more of a practical decision? Ben: I much prefer to play acoustic. It’s how I write all my songs and, for just one guy on a stage, you can fill all frequencies much easier and have it sound much better. Really, playing an electric guitar would only be worthwhile if I was in a rock band and it’s not often that that happens. LA: Would you mind explaining what the recording process was for your latest album? You said in an interview that it took you something like 18 months from start to finish. Are you happy with the final result? Ben: I like to think of Back Down as that difficult child that you have to love because otherwise you’d abandon it on someone’s doorstep. Writing it was a nightmare, recording it was like throwing money down a hole but somehow it all came together. About halfway through the writing process I moved into a new flat/apartment (delete per whatever side of the Atlantic you’re reading this on) and found myself surrounded by some of the noisiest people yet, at the same time, people the least tolerant of noise ever. I couldn’t play guitar without invoking some kind of complaint from somewhere so the album writing had to be finished off in my head, without touching the guitar. Add to that, I (maybe foolishly) tried some new recording techniques right at the start that didn’t work, and rather than going “well, that didn’t work” I decided to stick it out. Turns out recording a song is like building a house. What’s on the bottom has to be right, otherwise the whole thing’s going to fall over when you get to the top. Me and Matt (Bew, the poor guy who had to engineer the mess) spent many Saturday mornings poring over takes and tracks making changes here and there, headbutting the walls and going “why, baby Jesus, why?“, but in the end it worked out okay. I’m as proud of Back Down as I am the first album but it was much more stress than it needed to be. But hey, you live and learn. I’m pretty sure that’s what I’ve said after every trip to the studio ever, though. Uh oh. LA: What’s next for you? I saw you just announced a UK tour with several house shows? Any long term plans to come back to the US in the next few years? Ben: Next for me is to play some shows in the UK in November/December, and then I’m also starting to book more shows in the UK for February to May 2014, at which point I’ll put Back Down to bed and focus on some new things. I couldn’t rule out a third album one day but starting it is the hardest part. I won’t be moving house in the middle of writing next time. LA: Have you seen any good shows this past year? Any you were upset to have missed? Ben: I saw a good show this past week, in fact. A couple of days ago I traveled to London where, after many years of waiting, I saw Mountain Goats for the first time at the Union Chapel. I’ve been a massive fan since Sunset Tree (which is, for my money, one of the best albums ever recorded both in terms of its musical field and its narrative/ability to turn a personal tragedy into a tool for recovery) but whenever MG come to this country, I’m always off doing shows elsewhere. Still, I finally got the job done and it was worth the wait. The thing about Mountain Goats is that they’ve been going for, I don’t know, 672 years and they feel under no obligation to play any of their obviously popular stuff, so you go into the show as likely to hear a song from 1995 that was only ever released on cassette as, say, anything from their latest album. Actually I don’t think they played a song from their newest record at all. Other than that, I’m looking forward to They Might Be Giants in November. Amongst the other great shows I’ve seen in the past year have been the return of Jetplane Landing (a rock band from Northern Ireland recently reunited), and also Colin Meloy of Decemberists who put on a great show at Newport Folk Festival. Who am I kidding, I must have seen loads of great shows this year but my memory is not so good. Basically after the summer I’ve had I go to every show expecting it to be a Frank Turner show. Those shows with FT and Off With Their Heads were some of the best times I could ever have, so I think show of the year probably ends up going to the final night of the tour in Madison, WI. I wish I had a prize to give, but my own personal prize was the look on the server’s face when I walked into a catering outlet at 2pm and asked if they were still doing breakfast. Her face let me know there’s no such thing as a late breakfast in Madison. I had to look down and check I’d remembered to put clothes on. LA: What’s on your mp3 player right now? Any guilty pleasures on there? Ben: Aha! I can honestly say there are no guilty pleasures currently on my mp3 player. I regularly clear it out and restock it with new stuff – there’s probably only about 50 or 60 songs on there at any one time. Recently I’ve been listening to the new album by my friend Mark McCabe (recommended) and the recent albums from Jetplane Landing and Off With Their Heads. There’ve been some great albums out recently though, including a new one from Jason Isbell which you should all crawl over your own mothers to hear. LA: If you could do anything else for the rest of your life what would it be and why? I think I’m going to choose.. actually, you know what? It doesn’t matter. I can do anything, and collections of anythings, as long as I’m at peace with whatever I’m doing. There are people who go out of their way every week to do as much as possible and still get this sense of unease that they’re not doing enough, and next door to me my brother is shouting at people down the internet and shooting zombies and he seems perfectly happy about it. One of the best things about going to live shows is being introduced to artists that you might not have found otherwise. For Frank Turner fans in the United States that certainly was the case this past summer when Frank brought along an old friend, Ben Marwood, to open up his shows. Ben and Frank are both signed to Xtra Mile Recordings, an independent label in the UK. They first met after Frank split from his band, Million Dead, to pursue a solo career. “A friend booked me and him on the same bill. We were on a few more bills by chance and then I guess I must have brainwashed the poor guy,” Ben jokes. The two struck up a friendship, and have done many shows together since then. They’ve gone on to share the stage at many festivals, including an “Xtra Mile Takeover” at 2000 Trees this past year in Gloucestershire, England. Standing on stage with just his acoustic guitar, Ben manages to be utterly charming and captivating, if a bit awkward at times. “Well I play until my fingers hurt and grit my teeth through ever word like I’m the only introvert who wants to seize the day,” he sings on one of his most popular songs, “Singalong.” Ben writes his songs with unflinching honesty, admitting flaws in both himself in others in a way that’s like a breath of fresh air. His lyrics are utterly relateable, and he tells it like it is. Ben once stated that he makes “angry folk for enthusiastic people,” which is certainly the best description of his particular brand of indie-folk. All of his songs are catchy and quirky and tend to get stuck in your head for days. Ben is, at heart, a one man band, and he prefers playing with just an acoustic guitar when given the option. “I much prefer to play acoustic,” he admits. “It’s how I write all my songs and, for just one guy on a stage, you can fill all frequencies much easier and have it sound much better.” Ben’s guitar of choice is his Simon & Patrick GT cutaway but he was also given a Saigon DM100e to take with him when he toured the US. “The idea of which (getting stuff for free) is crazy and something I’m not really used to” Ben confesses, though obviously thrilled with the new addition. For now though, you can check out Ben’s music on iTunes or Spotify. What can I say. Frank Turner is flawless. I’ve had his latest album, Tape Deck Heart, on repeat for a while now and I’ve come to the conclusion that it’s easily my favorite album of his to date. If you like alternative, indie-folk/rock music, then give Frank a listen. Seriously, he has a song for every mood. His catalog is immense (5 LPs, 4 Eps, and 3 Compilation albums), and he is a fantastic story teller. 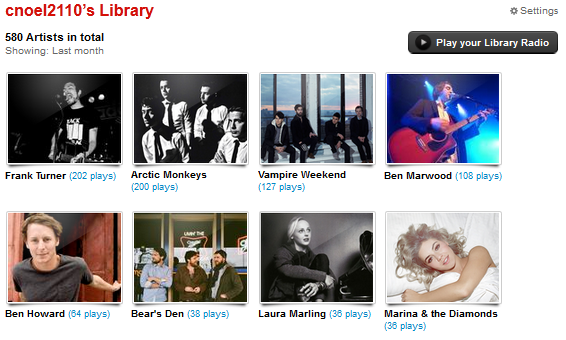 I’m only six years too late, I know, but I only recently started listening to British rock band the Arctic Monkeys. Their latest album, AM, has very few weak tracks on it; nearly every song is a potential single. It’s darker then some of their previous work, but there’s something empowering about it as well. The other album I’m really into right now is their first, Whatever People Say I Am, That’s What I’m Not. It’s straight up rock and it’s apologetically British. From their very first album the Monkeys have never tried to change who they are and where they come from, and you have to respect them for it. With the release of their latest album, Modern Vampires of the City, I found myself also revisiting their older work as well. It’s a toss up between which album is my favorite, MVOTC or Contra, but the whole trilogy is awesome. Vampire Weekend truly are in a category of their own, and I look forward to what they do next. I could listen to Ezra’s vocals for days. In fact I may have done just that. Although Ben is one of my newer musical discoveries, he’s actually been around for a while. 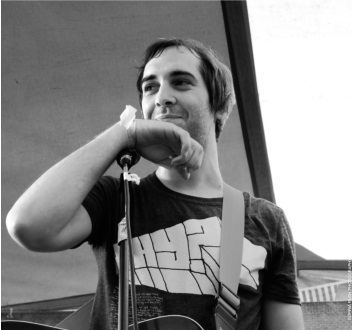 He’s signed to the same label as Frank Turner, and in fact toured with him in the US last summer. If you ask Ben what kind of music he makes, he’ll probably describe it as “angry folk for enthusiastic people.” It might be angry folk music but it certainly is catchy. If you are reading this and you haven’t given him a listen, his music is available for free to stream on spotify. There’s no excuse to not give him a listen. I already wrote up a short article on the band after seeing them play in New York, and have been listening to them ever since. They’ve only got one EP for sale in the US so far (Agape), though a second one is available elsewhere and a third is due to be released soon. For just a three piece band (drums, guitar, and banjo being the primary instruments) the band manages to produce a full sound and packs an emotional punch. My favorite track, “Pompeii” is a track off of their self-titled EP and you can easily find it on youtube. There also is a live version from the Gentlemen of the Road Stopover shows they played this summer that you can watch here. I don’t think I can say this enough. Laura’s latest album is flawless. Truly a musical masterpiece. You can read my previous post on the album here. Sometimes I forget that Marling is the same age as me, which makes all that she’s accomplished in her short career that much more impressive. From what I hear through the grapevine, Marling is continuing to debut new song after new song on the road, so it seems like we won’t be hearing the last of her anytime soon. Mariana is my go-to music when I want something fun to blast at full volume when I’m stuck in traffic driving home from work. Sure I might get some weird looks from other drivers when I’m dancing in my seat to “Primadonna” or “Oh No!” but I regret nothing. If you haven’t listened to Marina her first album, The Family Jewels, is in my opinion, her best work yet; though I do love Electra Heart as well. She’s got a fantastic range, and her music is definitely unique.